What do you do when your celebrity-DJ daughter is kidnapped and you have twenty-four hours until she’s killed? Forget the Swedish police. If you’re the wealthy von Mullers of Stockholm, you call PI Martin Brunner and his mouthy apprentice, Daniel Lakin. As the desperate hours tick by, the hired detectives search for suspicious links in the missing woman’s web of fans, friends, and family. But this case is looking to be anything but a run-of-the-mill kidnapping. In a pulse-pounding pursuit across land and water, Martin and Daniel must not only face down Kylee’s brutal captors but also deal with deeply sinister revelations from some surprising sources. 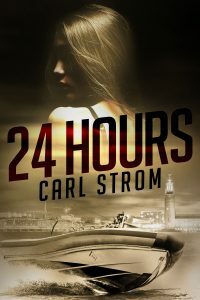 Action-packed and unspooling family twists right up to the final pages, 24 Hours proves that time flies when this might be the last day of your life. Ticktock, Martin. The clock . . . is ticking.